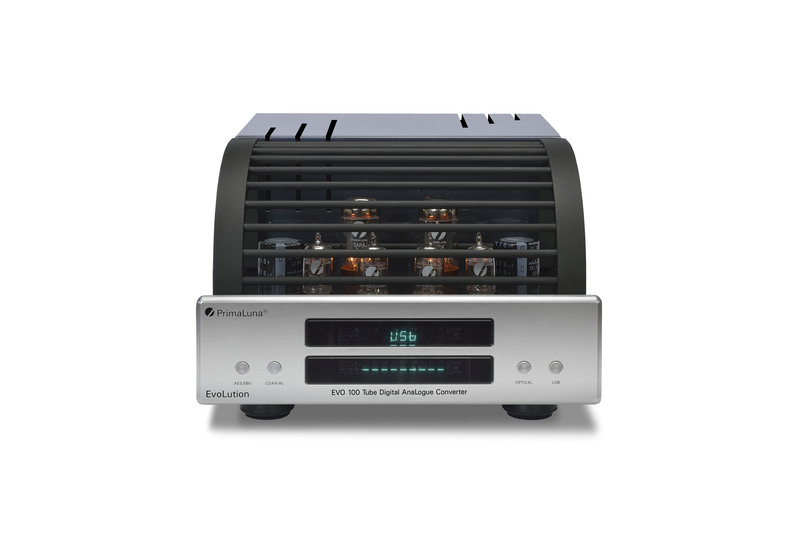 ← “Congratulations on a really nice amplifier! Part Two: One Happy Customer! 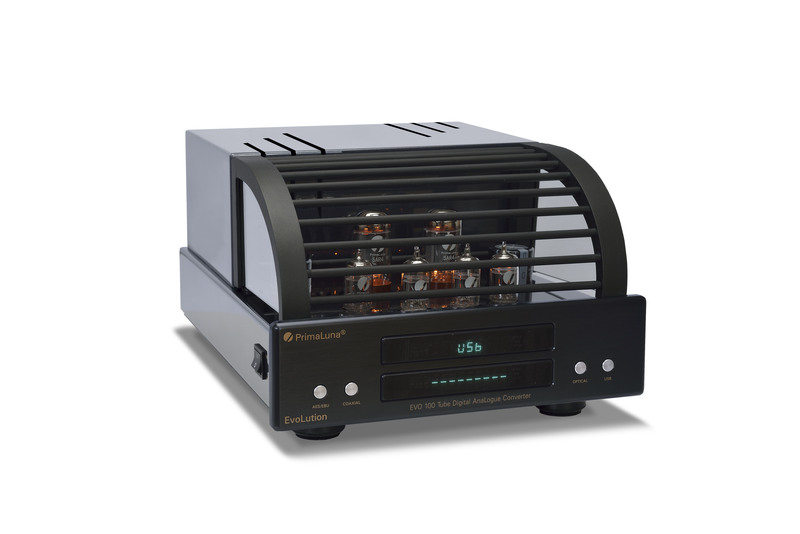 I began my hifi writing career at The Absolute Sound, and instead of the boring NAD integrated amplifier I was supposed to review for my first article, Robert Harley called one day (about two weeks after the ProLogue 1 appeared on the cover of Stereophile) and asked if I wouldn’t mind reviewing the ProLogue 1 instead. Oh boy, would I, I thought. This little tube integrated amplifier was built like nothing I’d ever seen for just over a grand, and it sounded pretty damn good too. I got my first byline in the audio world and editor Harley left in, what would be a ubiquitous quote in PrimaLuna’s marketing campaign heard round the world. “How does it sound? It sounds bitchin!” 11 years later, PrimaLuna amplifiers still sound bitchin, and their product line has grown tremendously. 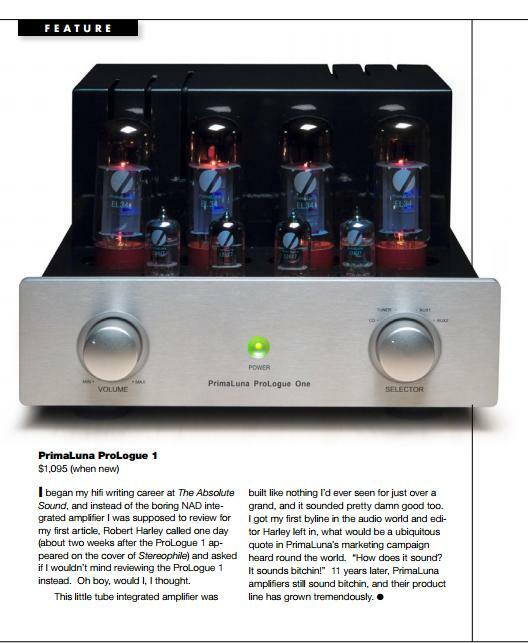 This entry was posted in Algemeen info - Informations générales, Audio Research, Distributors, Funny stuff, PrimaLuna, ProLogue Classic Series, Reviews, Versterkers - Amplificateurs and tagged Best Buy PrimaLuna, ToneAudio magazine. Bookmark the permalink.